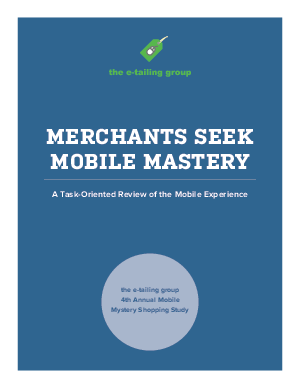 The e-tailing group has had the good fortune to participate in the growth of eCommerce over the last 16 years, and is just as thrilled to witness the power and possibility of mobile devices given their growing importance for both consumer and retailers. There are new dynamics in play simultaneously, and many of the trials and tribulations of the early days of eCommerce remain present. The following industry forecasts and findings highlight mobile’s growth potential and each on their own should merit merchants’ attention.